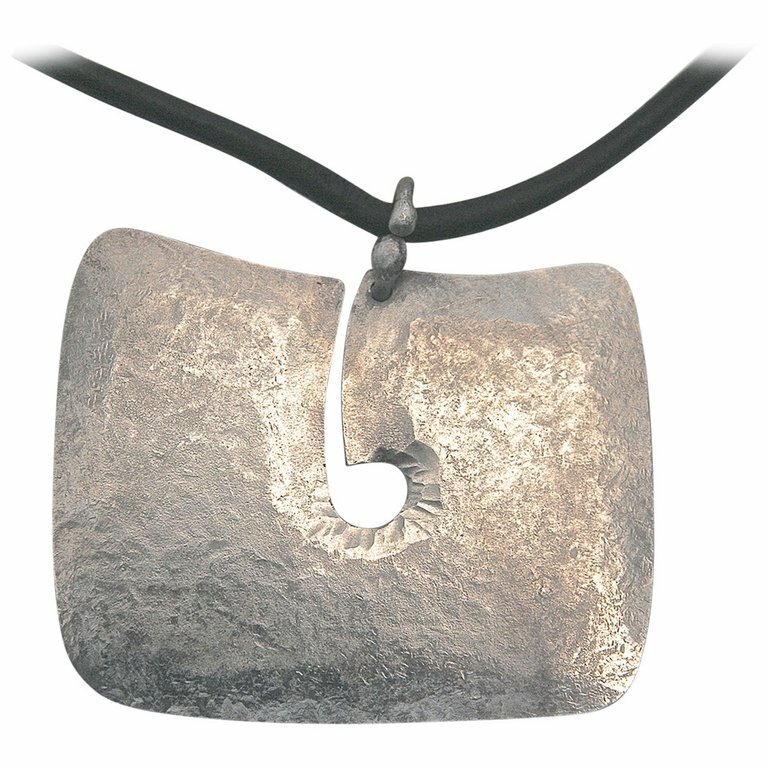 This is a hand-hammered reproduction of a rare design that Harry Bertoia did at the Bertoia Studio in the 1970s, Bertoia toyed with creating a complete line of jewelry since the 1940s but it never materialized. 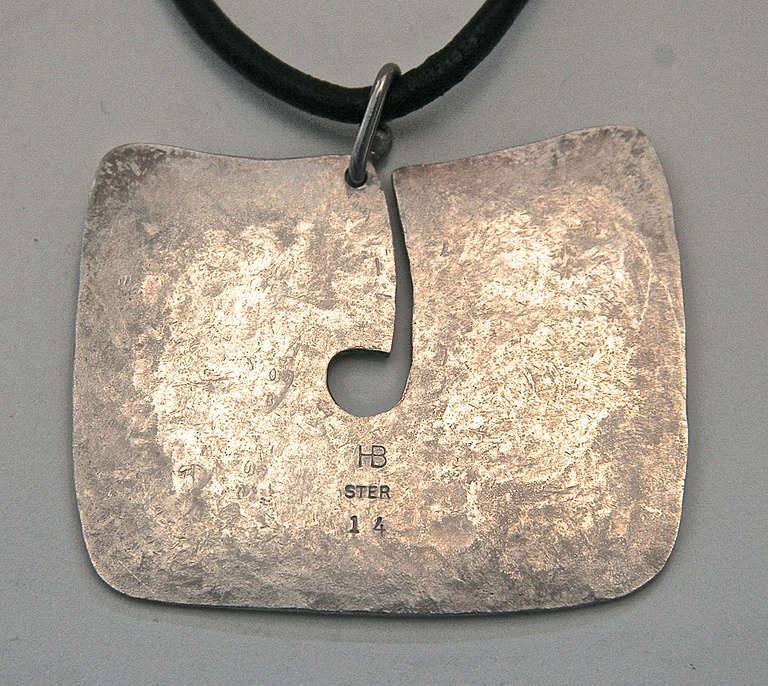 This piece is one of a limited edition of 100 authorized by the Bertoia Foundation. H 1.88 in. x W 2.32 in. x D .1 in.